Weddings Inc. is always thrilled to partner with top notch wedding professionals and our relationship with Junction 88 Productions is at the top of the list. Whether you are considering one of our Weddings Inc. package for Ceremony Only or both Ceremony and Reception; Junction 88 Productions will cover all of your musical details. 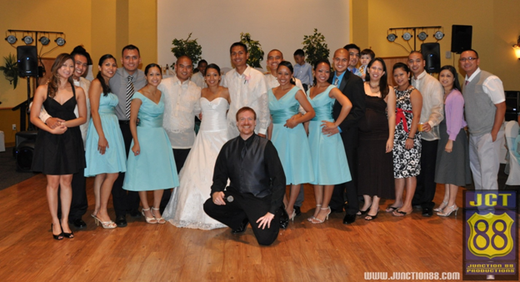 Their professionalism sets them apart from other central Florida DJ services. Founded in 2004, Junction 88 Productions sets themselves apart from their competitors with their talent and passion for entertaining while providing you with a great value. 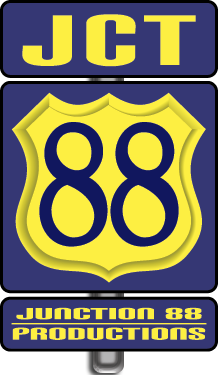 Junction 88 takes a lot of pride in their entertainment services and they strive to be the best at what they do; their reputation is one of the best and they are very proud of the service they offer. They have actually done as many as thirty-five weddings for the same group of family and friends. We LOVE this image of their founder DJMJ at one of those weddings. In this photo are 9 couples that he performed weddings for! 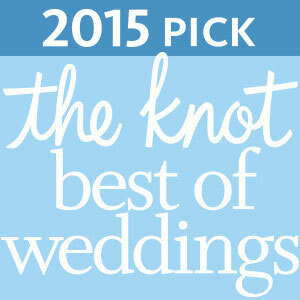 Their individualized attention includes working with each couple to select the perfect music for their big day. Whether it is something meaningful for their wedding ceremony, ‘your song’ for your first dance or reading the crowd and packing the dancefloor; their team is there to assist. Bilingual Spanish / English DJs make this team the prefect choice to MC introductions and help our Spanish speaking clients with music sections to keep your family and friends dancing all night long. Junction 88 brings every detail together to make your wedding day exactly what you dreamt it would be. Their team doesn’t simply go out on the weekend and DJ once or twice a month…this is ALL they do and they love it! Relax with the confidence that their years of experience will help you create a special day and that incredible experience you want! They are a partner that Weddings Inc is proud to work with wedding after wedding.